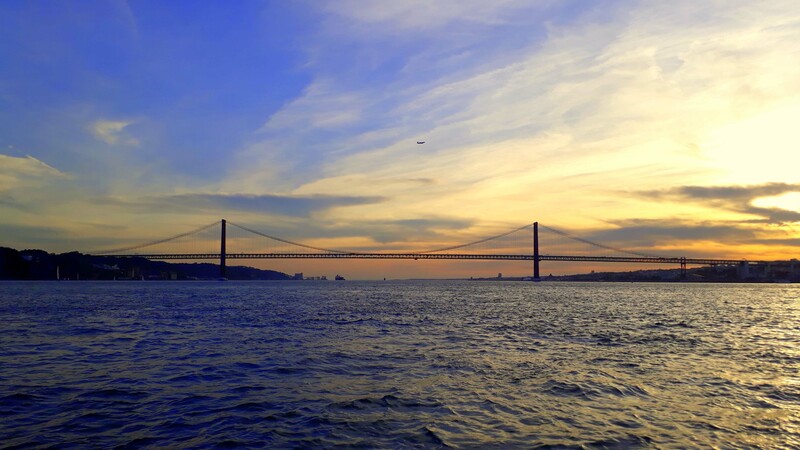 Since you now already know where to eat in Lisbon, how to get around and which places to visit, you are certainly also interested in where you can sleep conveniently. And cook. And jump into the pool. 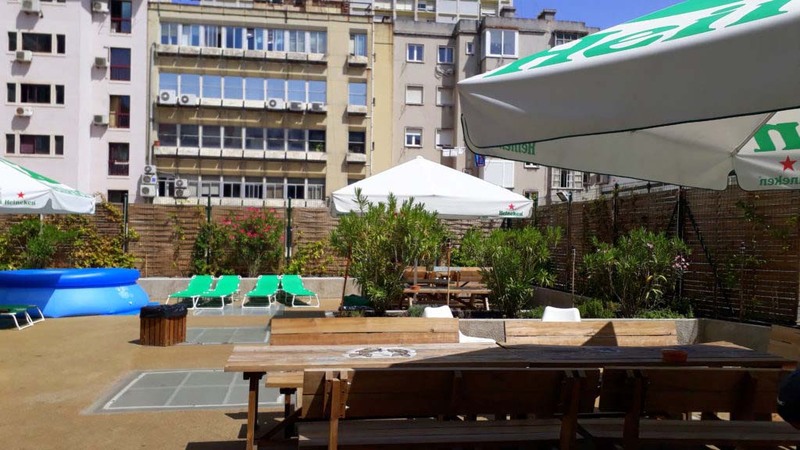 Yes, you read correctly: There are actually low-budget hostels with a pool! Where? You’ll find out here. As you may know, we normally sleep in the car. For this, we simply folded the back seats, cut two boards to the required shape and placed six baby mattresses from Ikea on it. Due to their format (60×120 cm), three mattresses form a lying surface in the pleasant size of 180×120 cm. Since the mattresses are only five centimeters high, we simply doubled them. And tada: An absolutely comfortable, cheap and quickly built bed! But since there is a number of very cheap hostels in Lisbon, we could not resist trying some of them. Less for sleeping (for that we have brought our own bed), but all the more for showering, cooking and using up food and as cooling off the super-hot summer days. Another reason is, of course, the use of Wifi and electricity to continue working on the blog and the videos for the YouTube channel. 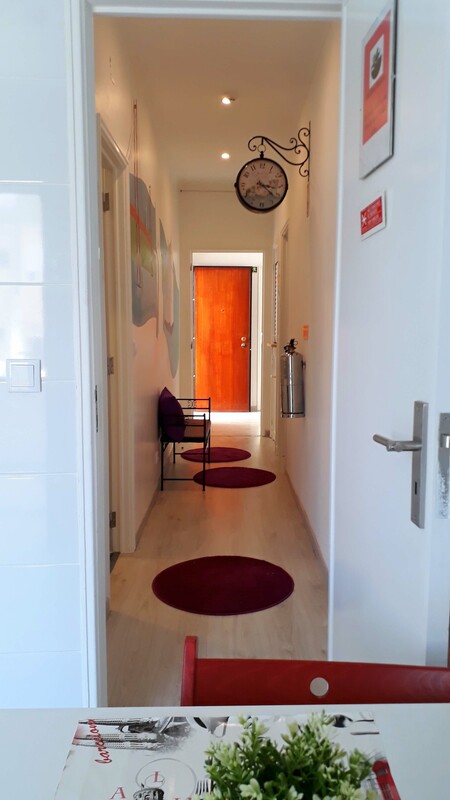 The first hostel we will introduce to you – our top favorite – is not located directly in Lisbon, but is an absolute hit: the Help Yourself Hostels Carcavelos Coast. For only 8 euros per night we got not only a fully equipped open kitchen and several common rooms, but also the highlight of all: a pool! With sunbeds! How cool is that?! We could use it very well, after all, we spent the heat wave in June fortunately here. From Lisbon, you can easily get to the hostel: just take the Linha de Cascais, which takes you from the Cais do Sodré station in Lisbon every 20 minutes for € 1.90 during an around 20 minute drive to Carcavelos. There you get out on the right side in the direction of travel and walk about 500 meters back – here is the hostel. In the direction of Lisbon match the same game in reverse order. By the way: You can also take the same line to the Torre de Belém and Mosteiro dos Jerónimos (get off in Alges) and the LX Factory (get off in Alcantara-Mar). You can read more about the sights in the third part of our Lisbon series. When booking, you can choose between a “Bed in 8-Bed Dormitory Room” and a “Bunk Bed in Mixed Dormitory Room”. We recommend you the 8-bed room, as this has a roof terrace. The other dormitory is in the basement and has 21 beds, but in warm temperatures it is pleasantly cool. Towels and bed linen are included in the price. Here you can book the hostel with a 10% discount. 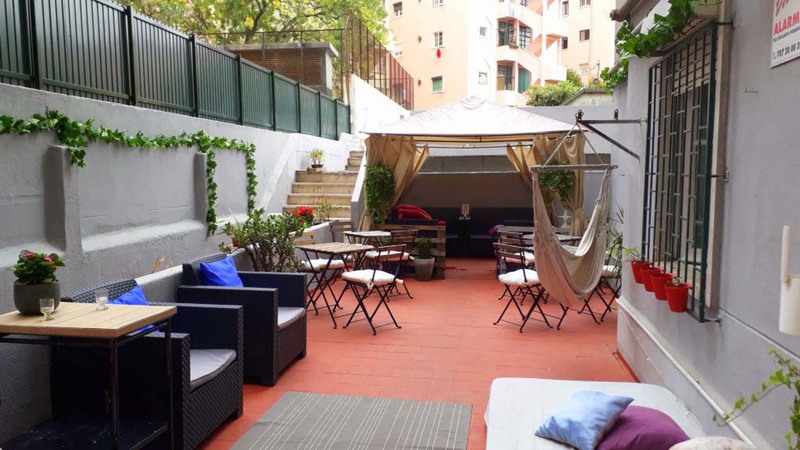 The Hub Lisbon Patio Hostel is our next tip. Here you get a very comfortable bed in a nice room for 10 euros per night. Therein bed linen and breakfast are included, but no towels. 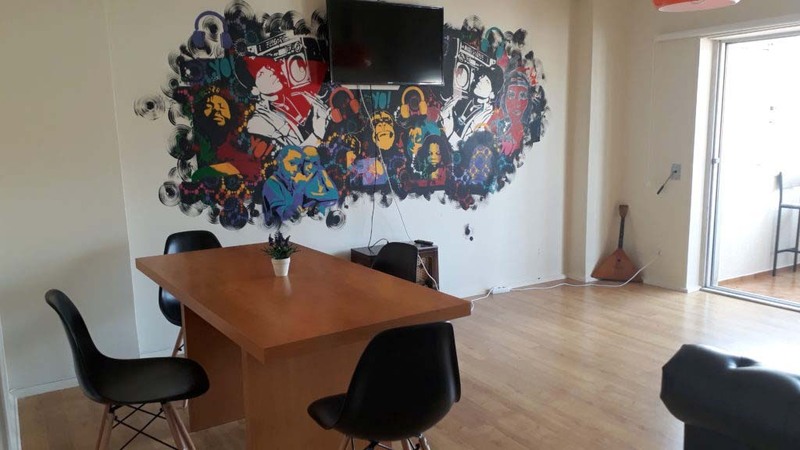 In exchange you can chill out in the very nice, half-open lounge room and sip a drink from the hostel’s bar. It is also possible to use the washing machine and dryer for a small fee (5 Euro). Since the hostel does not exist for too long, everything is brand new. During our stay, for example, new seat cushions were delivered and construction workers busied themselves on a presumable roof terrace. Also the washrooms were positively striking new and chic. In addition, there is also a large kitchen at your disposal. 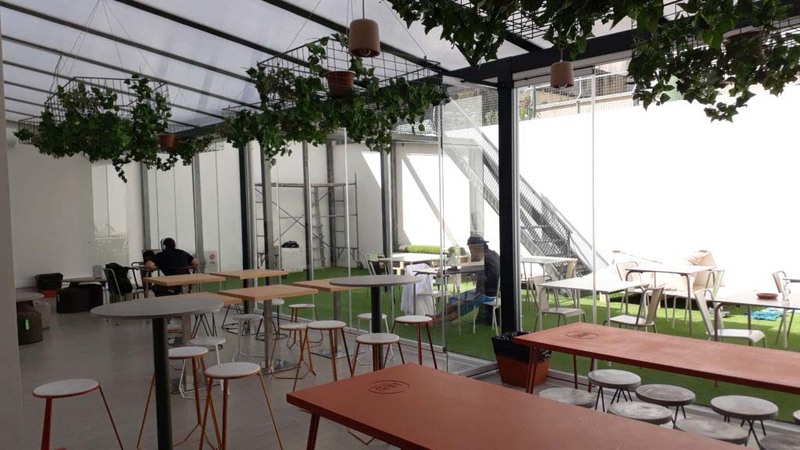 Overall, the hostel is very modern designed, which makes a refreshing contrast to the old building in which it is located. Right around the corner from Hub Lisbon Patio Hostel is the Hans Brinker Hostel Lisbon. Also here you get in the room rate (we only paid 8 euro per night) a very delicious breakfast buffet included, among other things with fresh orange juice, bread and jam. This can be comfortably eaten in the sun on the huge terrace. There is, moreover, a pool and some sun loungers. All others can book the hostel here with a 10% discount. Oh yes, the Star Hostel – another brand-new hostel, which suddenly appeared. Here we stayed for 10 euros and cooked and ate in the also completely new kitchen. The rooms are a bit small and the entire hostel is located on the top floor of an old building without elevator. 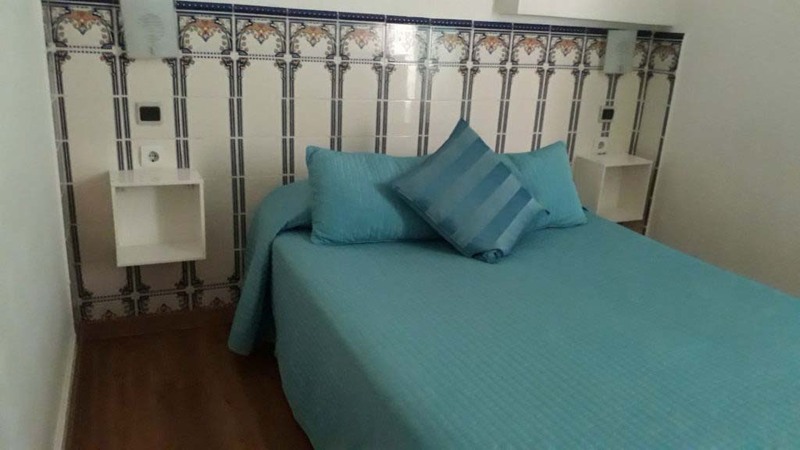 In addition, the hostel is located a little outside in the district of Campo de Ourique. But as I said, everything is nearly unused. The shared bathroom appears very classy and is equipped with a huge shower. The hostel also has several balconies. Bed linen are included in the price, yet towels are not. For the Mini Hostel in Lisbon we paid 15 euros per night. For that we got each a single bed in a 4-bed room with balcony, towels and bed linen included. Also here we could cook in the common kitchen. The highlight of the hostel is, however, clearly the super cosy roof terrace. Here you can book the hotel with a 10% discount. In addition, the apartment is not in the city center, which meant for us that we could easily reach it by car and also find parking there. Here you can book the apartment with a 10% discount. We didn’t stay at the Brickoven Palace Hostel (hence no photo), but if we had stayed longer in Lisbon, we would have definitely booked it! The pictures on Booking.com look so inviting and classy – and that at a price of under 10 euros per night! 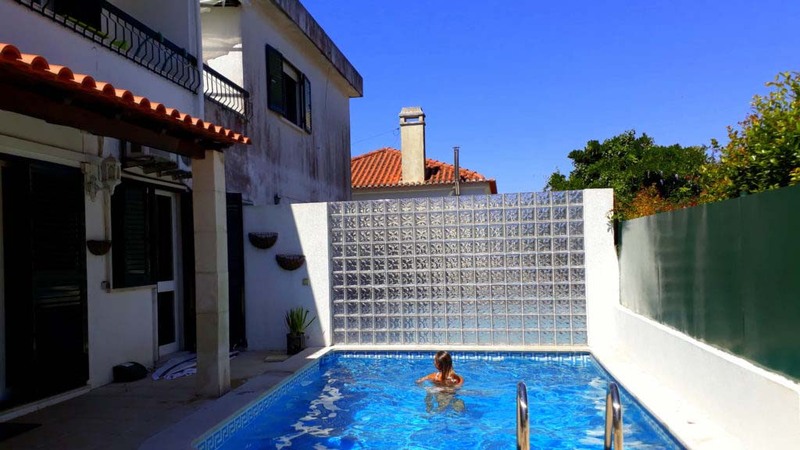 We book our accommodation always quite spontaneously and have also already often noted that one day before the arrival date, and especially on the same day, there are extremely cheap last minute offers! In addition, we rarely stay many nights in a row in the same hostel. So it may be that a hostel is not fully booked only for a few individual days – and then just conveniently “spews out” these rooms. 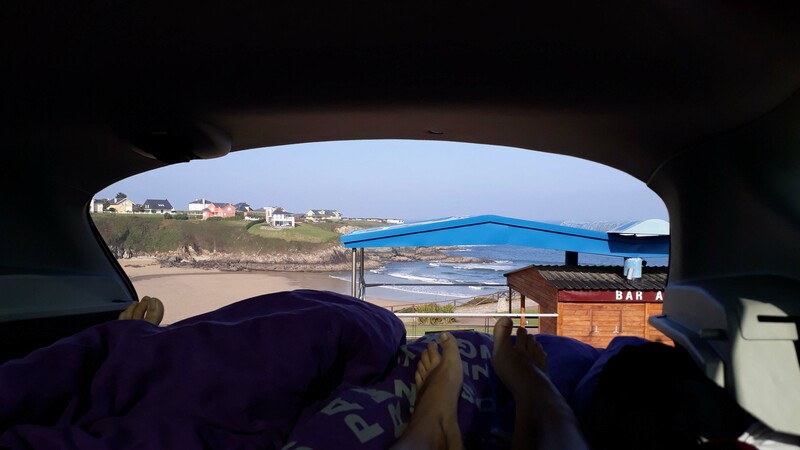 So if you want to spend really little money, you can do “hostel hopping“, so not staying in the same accommodation for the entire travel period, but move a couple of times in between.